Let’s have an initial conversation so I can get to know you as a person and explain what I can provide as a professional newborn photographer. 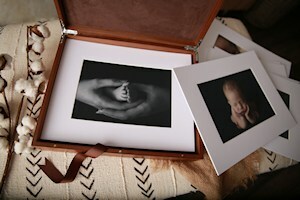 By understanding how you would like to display your photos I can create the best experience for you and your family. Following our conversation, Step #2 is setting up your personal non-obligation consultation. 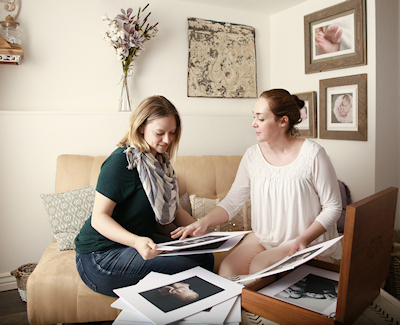 During this consultation you’ll have a chance to ask me any questions you may have, and I’ll be able to begin planning your custom newborn portrait session. Types of images that are important to you. Styles and colors you are most drawn to. Family heirlooms you’d like to include in your images. During this meeting you will be also be able to see, touch and feel the “Keepsakes” available for your newborn photo treasures. Kaylie Ruth Photography is proud to offer a complimentary gift registry for expecting parents! Gift-givers are able to purchase gift certificates that parents can use toward custom newborn portraiture and artwork for their home. Expecting parents book a newborn photography session with Kaylie Ruth Photography and decide they’d like to use the complimentary registry. You’ll also be provided with a custom link that gift-givers can use to make contributions to your photography fund. All funds from your registry will be applied toward your final order! I want to make sure that your final artwork will look fabulous in your home for years to come. What you wear during a photo session can make a big difference in the final ‘look’ of the image. It’s also important to take your home’s décor into account when we’re planning your session. This is what I mean when I say that I “plan with the end in mind”… all aspects are taken into account to make sure your final artwork is custom to your family and your lifestyle. You’re unique! Your portraits should be, too. 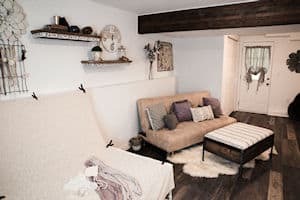 Sit back and relax in my comfortable studio space (specifically designed with newborn photography in mind) while we bring your vision to life! This is the exciting part! This is when you’re first able to view your gallery of fully-edited images. I’m there the whole time to help you decide which images you’d like to turn into artwork for your home. We’ll place your order at the appointment and I’ll take care of it from there! About 4-8 weeks after your Viewing and Ordering Appointment, I will set up a time to deliver your beautiful artwork! If you’d like, I can even bring someone with me to install the Wall Art in your home that very day!